Show off your logo in study and work! 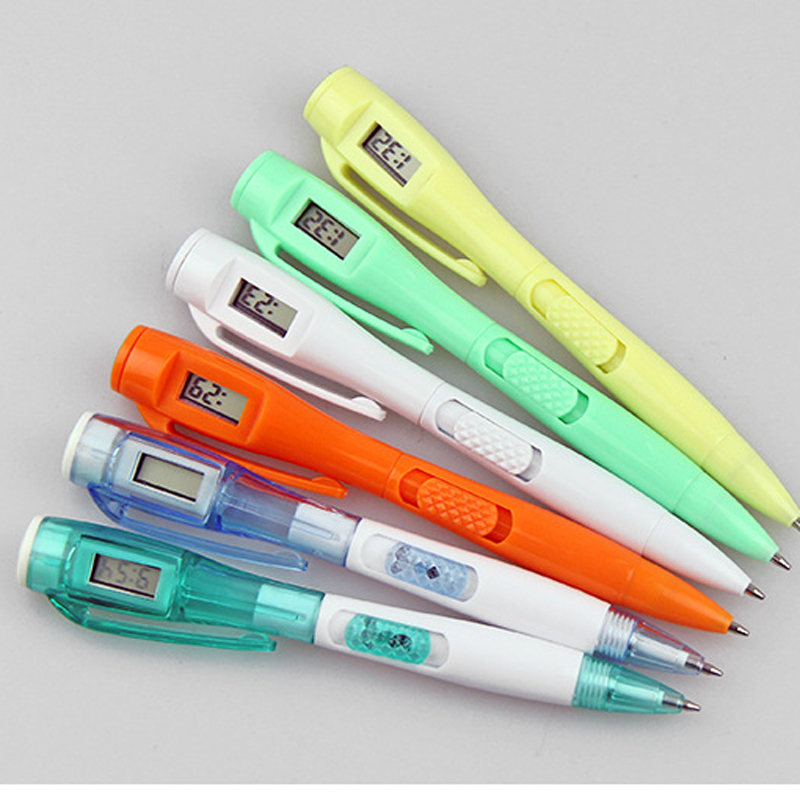 This electronic pen is made of ABS and is available in a variety of colors. There is a table at the top of the pen to see the time. It can be used in a variety of situations, such as exams, meetings and work. This is very practical for office workers and students. Customize your products and logos! Package: 1 pc/opp bag, 500 pcs/ctn, 15 lbs/ctn.